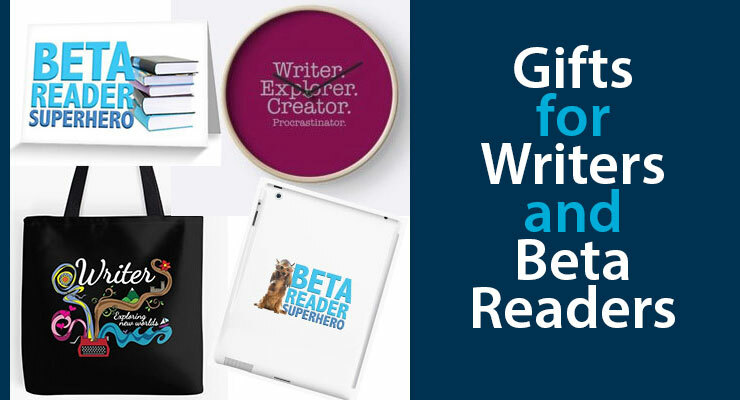 Are you looking for an inspirational, cute or quirky gift for a writer or beta reader? I’ve made you some mugs, book bags, phone cases, clothing and lots of other options. I’ve really enjoyed creating these things, as you can possibly tell by all the pics on this page. I hope you enjoy having a look around. The first of these is about the magic that flows out of our keyboards – the discoveries and creations. Finished the first draft – woohoo! Won NaNoWriMo… or started NaNoWriMo even if didn’t finish it! Won an award or shortlisted for an award. Reassurance after a disappointment – that rejection or bad review doesn’t have to be the end. You might just want a gift for yourself. A tote bag (book bag) to take your notes with you when you work in the library or coffee shop – or a skin for your laptop. I also wanted to create some things we could use as thank-you gifts for our beta readers. They pour an enormous amount of effort into our books. Depending on your budget you could start with a simple greeting card or move up to all kinds of gorgeous gifts. There’s two alternatives with Beta Reader Superhero. With the superhero dog. He’s wearing glasses a little askew (a la Clark Kent mid-phonebooth) and the Viking hat that all writers need in their toolkit. 😉 A nice option for the dog lover on your beta team. Browse for gift ideas by clicking <HERE>. It will open a new window to take you to my page on the Redbubble website. I may or may not have been procrastinating when I created these gifts. 😉 But it was a lot of fun. I hope you enjoy them. Here’s that link again <CLICK HERE> It will take you to my Redbubble profile.